Printed at US Playing Cards on Bicycle cardstock. 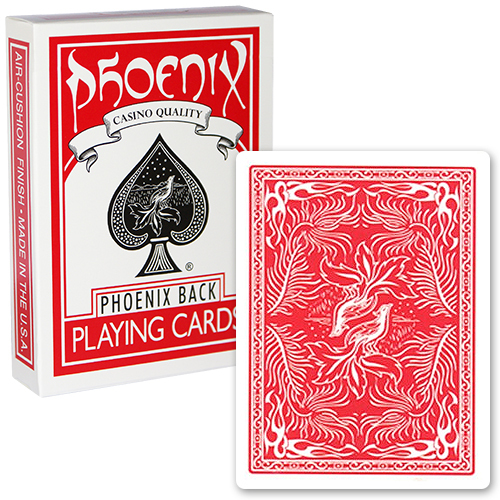 The Phoenix Deck uses the standard faces of Bicycle playing cards but takes them a step further for professional magicians. With large format aces a better visibility is guaranteed even on greater distances. This deck is intended to be the pro magician's working horse for a very reasonable price. • The cards are poker size. Αυτό το προϊόν προστέθηκε στον κατάλογό μας την Thursday 08 September, 2016.